Don't forget that Google Reader is shutting down July 1st. When this announcement first came out, I looked into other options and decided to go with Bloglovin'. I find it is a rather easy site to use and navigate. Plus, I can use with both my phone (I have an Android phone) and the iPad. Feel free to follow Always With a Book on Bloglovin (click on link) or you can still follow via email - see sidebar to subscribe. 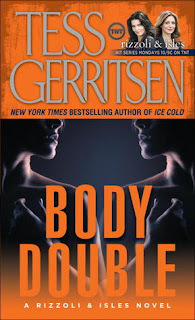 I've never read anything by Meg Gardiner, but do enjoy a good thriller! 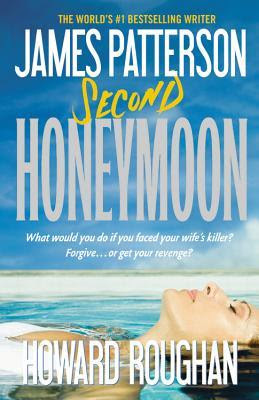 A new stand-alone James Patterson book - oh how I love my James Patterson!!! Back to the adventures of Stephanie Plum! The cover caught my eye on this one and I just had to read the story. My thoughts: I am really enjoying reading this series. I started reading it after I fell in love with the television version of the series, starring Angie Harmon and Sasha Alexander. What I like is that the books are different enough from the tv series that you can easily enjoy both without having anything given away. So far, of the 5 books I've now read in this series (read book #10 last year when it came out as part blog tour), I think this is my favorite book as we really get to know more about Dr. Isles. The previous books have mainly focused on Det. Rizzoli. While the characters in the books do not share the familiar, friendly banter that they do on the tv show, I do like the dynamics between them. 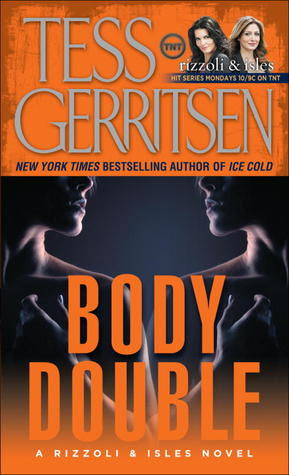 Body Double is filled with so many twists and turns it kept me glued to the book. A murdered body appears in front of Dr. Isles' home and at first, the police, including Jane Rizzoli believe it is Maura Isles. 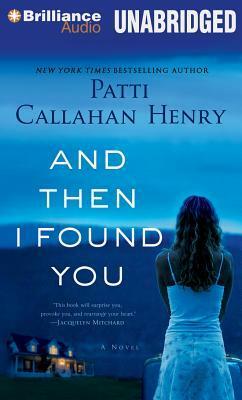 When Isles shows up, there is crazy confusion and suddenly she is confronted with finding out about her past. 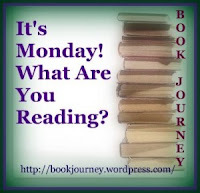 There is so much going on and the tension is so palpable that you just don't want to put the book down. While the book deals with some gruesome acts, it's written in such a way as to not be too gory. I find that I really enjoy the descriptions of Dr. Isles doing her job - a job that has earned her the nickname "Queen of the Dead." I'm quite anxious to continue reading this series. As I mentioned above, I did read book 10 and there were quite a few story lines that are mentioned that will hopefully be explained more fully in some of the books leading up to that one. What about you? Have you read this series or watched any episodes of the tv show? This touching short story about a poignant stage in a marriage explores the backstory of Margot Carmichael, one of the stars in Elin Hilderbrand's new novel BEAUTIFUL DAY. 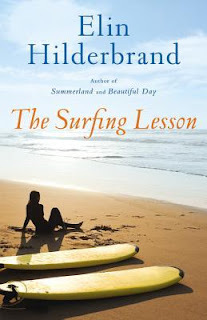 My thoughts: There are a few authors that come to mind when summer comes around, and one is Elin Hilderbrand and her novels set on Nantucket. 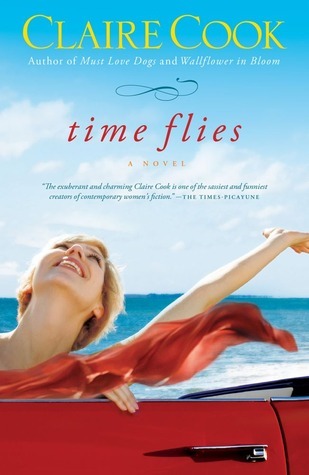 I have read all her books and feel that I always get to live vicariously through her characters and enjoy all that Nantucket has to offer - it is a place I've never been but hope to get to one day. The Surfing Lesson is, according to the author herself, actually a stand-alone short story that will get you ready for her new book, Beautiful Day. I don't tend to pre-order too many books, but I did for this one and loved it. It is indeed a short story, but introduces us to Margot, Drum and Hadley. Margot and Drum have seemed to lost the spark in their marriage and Margot is trying to figure out what to do. Taking us back to the days when Margot and Drum first fell in love, we find out a bit about these characters. I'm looking forward to reading Beautiful Day and seeing what becomes of Margot and Drum's marriage. I know they are not the focus of the story in the upcoming book, but for some reason Elin Hilderbrand felt their story needed to be told and I'm glad. 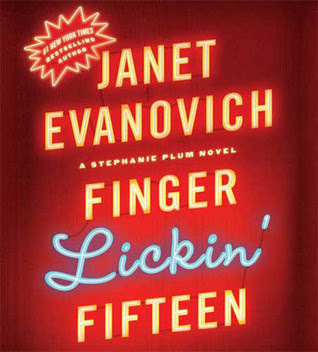 Hopefully I get the book soon - I reserved it at the library and am just waiting for a copy to come in. Do you read all the prequels and short stories that authors put out for upcoming books or do you just stick with the main book? 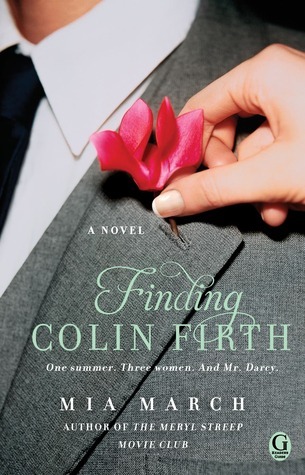 My thoughts: Summer always mean a new Claire Cook book and this year's new book was certainly a fun read. It's a funny, witty, cute read with some really touching, heartwarming moments thrown in. 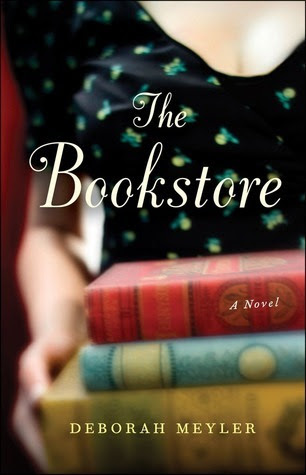 Melanie, trying to settle into single life after her husband leaves her, is being hounded by her best friend to attend her high school reunion. We are never told what year the reunion is, but you can guess that it's more than the five or ten year. I think not telling us ages or what year the reunion actually is for adds to the storyline. Does it really matter if it's the 20 or 25 year reunion - the reaction to getting that invitation is still the same...anticipation coupled with dread, a reaction, incidentally, I am dealing with myself as I get ready for my 20 year reunion! Where does time go? I loved the relationship between Claire and her bff, B.J. B.J. is a straight-shooter, telling you how it is. She's loyal to a fault and always there for Claire, but she also doesn't put up with Claire's nonsense and gives her the push she needs to put the past behind. As is typical in a Claire Cook book, she takes us into a unique career - in this case, metal sculpting. I really loved hearing about the creations that Mel creates and I only wish that this book came with pictures - I would have loved to see her finished pieces! Claire Cook does a great job of creating characters you can relate to and Melanie is certainly someone we can all relate to at some point. How many of us have let the past shape our lives? It's easy to celebrate with Melanie as she learns to accept what her life is and even learn to flaunt it. Have you attended any of your high school reunions? Was it with excitement or dread? Charity's nomadic childhood has left her itching to settle down, and she immediately falls in love with all the storybook town has to offer--everything, that is, except its sexiest and most famous resident, former world-class cyclist Josh Golden. With her long list of romantic disasters, she's not about to take a chance on another bad boy, even if everyone else thinks he's perfect just the way he is. But maybe that's just what he needs--someone who knows the value of his flaws. Someone who knows that he's just chasing perfect. 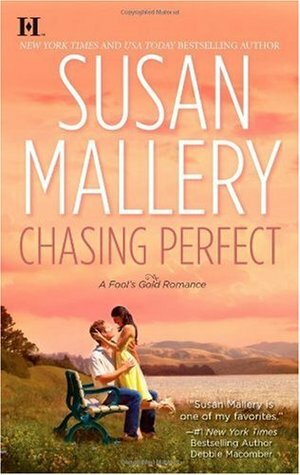 My thoughts: I've read quite a few books by Susan Mallery and I enjoy her stories. For some reason, I never started reading the Fool's Gold series when it first came out...and now, I can't even remember why, but I do know that I'm kicking myself for waiting so long. I did read book 8 last year, Summer Nights, as part of a blog tour, and even though I don't like reading books out of order when they are part of a series, I still read it, being told it was written as a stand-alone. I really enjoyed it and have been looking forward to going back to the beginning and reading the series in order. This first book introduces us to Fool's Gold and we come to find that the town is having a hard time getting men to stay...there are way more women in this town than there are men and the town council is trying to change that. They start by hiring a new city planner and hope that they can start to attract new businesses to their small town. Besides setting up the series, this is also Charity and Josh's story. Charity is the new city planner, and ends up getting way more than she bargained for when she accepted the job. Josh, a former world-class athlete, has the resources and wherewithal to help bring people to the town. Both have secrets in their past and both are trying to overcome issues - but will they be able to get past all that to find their happily-ever-after? We are also introduced to other residents of the town and I am hoping some of them will be getting their own stories. I do have a feeling, though, that Marsha, the town mayor, is more than just head of the town...I'm thinking she might also be the town matchmaker! I'm looking forward to reading this series. I love long series - you get so invested in the characters and the town. If you like reading series, do you like them to go on forever, or do you like them short and sweet? Last week was Audiobook Week, hosted by Jen at Devourer of Books. It was a great week of getting to know fellow bloggers that are also audiobook listeners as well as discovering new books to try on audio and new narrators to keep an eye out for...I know my tbl (to-be-listened to) list grew a lot! Did you participate? This past weekend, my husband sailed in a regatta and I enjoyed sitting on the porch at the boat club while reading. I got some quality reading time in - it's amazing how much reading I get in while staying off the computer and social media! Audiobook Week 2013: How Do You Choose Your Audiobooks? This is the latest in C.W. Gortner's Spymaster Chronicles series and I am looking forward to reading it! This is my newest favorite series and the latest one coming out in paperback! ***I finally finished the audio on my iPod and needed to add some more - need those audios for my walking every morning...thank goodness for Overdrive! 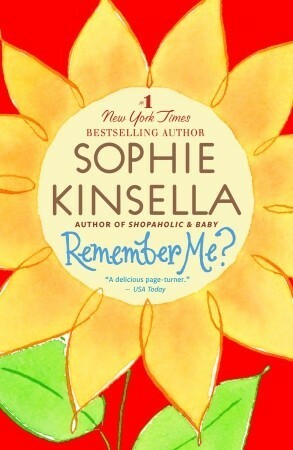 I just love a good Sophie Kinsella story and this one is already proving to be another winner. 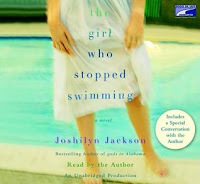 I'm trying to get all of Joshilyn Jackson's books on audio and was thrilled this one was available. Somehow I missed this when it came out...it sounds like a good psychological thriller! 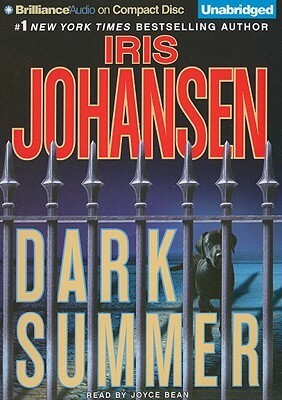 Another book I seemed to miss from another favorite author. I heard about this one on Twitter this week and had to see what all the hype is all about! 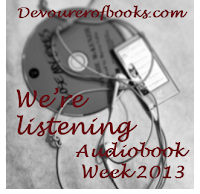 Today is the final discussion post for Audiobook Week 2013. I want to thank Jen at Devourer of Books for hosting a great week of discussions centered around audiobooks this week. Where do you learn about great audiobook titles? Buy your audiobooks? Share your secrets with the rest of us! We'd particularly love to know what narrators or publishers are active in social media of do a great job communicating with listeners. I get the majority of my audiobooks from the library - both in cd format for the car and digital format for my iPod using Overdrive. I have never bought an audio, but I have won a couple, and just recently I've gotten a few for review from a publisher. When at the library, I tend to pick from what's available. My job takes me to the different libraries within our county, so I always check each library because they all have different selections. Sometimes, if I am looking for a specific audiobook, I will just request it. As for the digital audios that I get, again, it tends to be what's available when I'm looking. I tend to find out about new titles on audio from my fellow bloggers. There are so many bloggers out there that listen to audios, so it's easy to find them. I also try to participate in the Sound Bytes meme at Devourer of Books on Fridays, which is a place where bloggers can link their audio book reviews for the week. 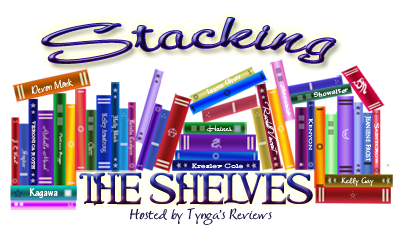 And of course, there's the Audiobook Challenge, hosted by Teresa's Reading Corner - checking out the monthly link-ups provide a glimpse into what everyone is listening to. I'm still relatively new to Twitter, and so am still finding my way around. I haven't searched any narrators or publishers as of yet, but will be interested to see what everyone else has to say about this. What about you? How do you go about finding new audiobooks? New York Times best-selling author Alison Weir has earned her reputation as the preeminent historian of British royalty. 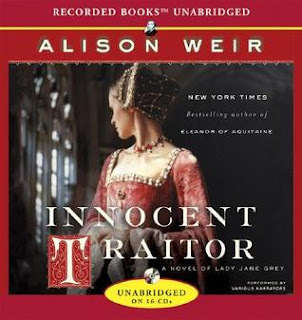 Now with Innocent Traitor, Weir utilizes her vast knowledge and captivating narrative style to craft her first historical novel, choosing Lady Jane Grey - the most sympathetic heroine of Tudor England - as her enthralling subject. The child of a scheming father and ruthless mother, Jane is born during a time when ambition dictates action. Cousin to Edward VI, Mary I, and Elizabeth I, she is merely a pawn in a political and religious game where one false step means certain demise. But Lady Jane has remarkable qualities that help her withstand the constant pressures of the royal machinery far better than any person could be expected to do. Weir's striking novel sweeps readers back through the centuries to witness first-hand one of the most poignant tales from a time of constant scheming and power brokering. My thoughts: This is the second audiobook I've listened to by Alison Weir and I am definitely a fan. I've read/listened to a lot of historical fiction surrounding the Tudors and so am pretty familiar with all the major players. I've always been intrigued by Jane Grey and so couldn't resist picking up this book. Lady Jane Grey was queen for just over a week and was a put in that position unwillingly. This book tells the tale of her short life, told from the perspectives of those around her. Wanting only a quiet life with her books, she was eventually put to death because of those who supposedly had her best interests at heart - or was it really their best interests? I love reading/listening to the tales of the royals during this time. It often makes me wonder why someone would want to be put in such a high position? I am also amazed at what people are willing to do to attain high favor - case in point, Jane's parents. They forced her hand in a marriage that turned into an abusive relationship all so they could further their own ambitions. I love when authors create characters that are so likeable while they also create characters that are just as dis-likeable. In this case, Lady Jane Grey is a very likeable character - she's quite smart for her age and you can tell that she is as true to herself as she can be. Her mother, the Duchess of Suffolk, was a dis-likeable character. She was all about her own ambition and used her daughter as she saw fit. 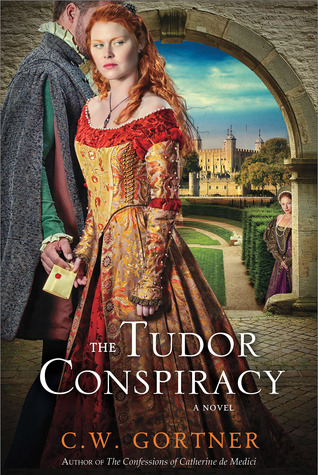 I'm not sure there will ever be a time when I say I've had enough of Tudor fiction. I think each author brings to the table their own perspectives and thus we are able to put together a richer picture of all the players involved. 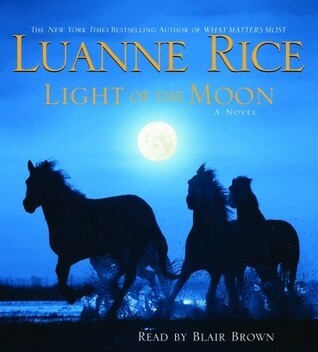 Audio thoughts: I loved the cast of narrators that read this book. I don't typically end up listening to books with multiple narrators - not because I don't like them, but because most of the books I pick tend to have one narrator. The cast in this case seemed to enhance the listening experience, in my opinion. Alternating between the different character's points of view, we were able to really understand what was happening, and it helped moved the story along, especially considering the length (18.5 hours). Plus, they were all new to me, so now I will be on the hunt to see what else they have done. Do you prefer single narrators or a cast of narrators when listening to an audiobook? Is there a case when one is better than the other? June is Audiobook Month and Jen at Devourer of Books is hosting a special week dedicated to audiobooks this week. cleaning the house - least favorite thing to do! sunbathing in backyard - no need for squinting in the sun - just close eyes, relax and listen! This summer I will be taking on the task of cleaning out all the closets and the basement...luckily the only thing that will make that task even somewhat enjoyable is the thought that I should be able to get some quality audio time in!!! So, what do you do while listening to audiobooks? 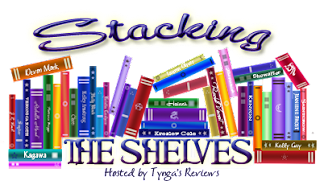 Welcome to day three of Audio Book Week, hosted by Jen at Devourer of Books! Today is the mid-week meme. 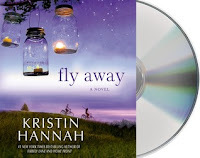 Fly Away: I loved Firefly Lane by Kristin Hannah and this is the sequel to that and it's really good! 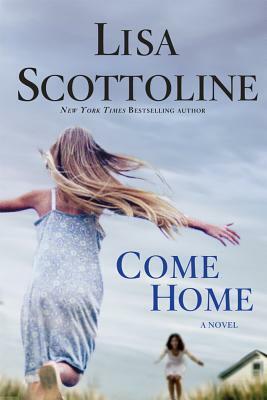 Come Home: This is the first Lisa Scottoline book I've read/listened to and I am really enjoying it - there's just the right amount of suspense to keep you hooked and Maggie-Meg Reed is really able to nail all the different voices. 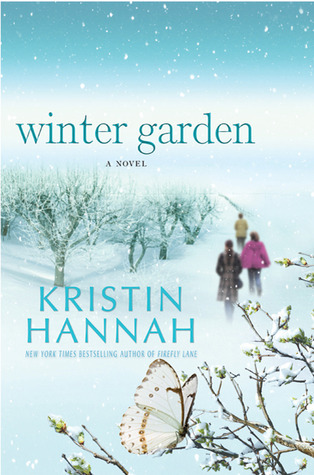 Looking over the audiobooks I've listened to this past year, I'd have to say Kristin Hannah's Winter Garden is my favorite...Susan Ericksen did a phenomenal job narrating that story, especially when the Russian accent is called for - this is why you should listen to this book!!! Stina Nielsen - she was part of the cast that narrated Alison Weir's Innocent Traitor - she was Lady Jane Grey. I enjoyed listening to her and would love to see what else she's narrated.